Marking the series’ 35th anniversary, Nobunaga’s Ambition: Taishi remains true to the long-running franchise’s historical simulation gameplay; allowing players to relive some of the most epic battles and notable events of the Sengoku Era in Japan. The Sengoku Era was a period where regional lords fiercely fought for supremacy, to claim dominance and unite the lands. Players will have to exploit a wide breadth of tactical options to create fresh strategies that allow new ways to gain an advantage over the opponent. Strategies do not only focus on the Military Campaigns, but also on managing the Production Facilities and Trade Routes to continuously expand territory and increase the strength of the army. These elements are further enhanced through the introduction of the Resolve System; where each officer has their own set of aspirations that will depict how they will act in a given situation and gameplay will change accordingly, with new tactics needed to accommodate opposing or similar viewpoints. With the Resolve System officers will be showcase a more human and personal feel, providing players a deeper insight into the historical simulation the series is renowned for. 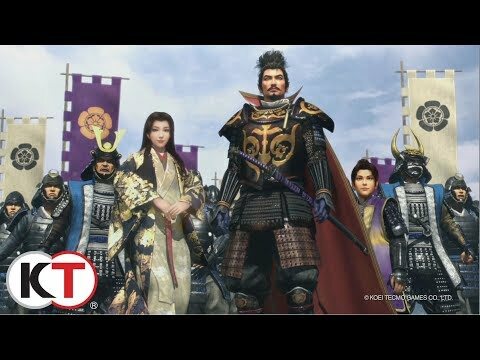 Nobunaga’s Ambition: Taishi was released on 318d ago in the UK and the US. Notify me when Nobunaga’s Ambition: Taishi is available. Based on 2 Nobunaga’s Ambition: Taishi reviews, Nobunaga’s Ambition: Taishi gets an average review score of 85. This is the kind of game I can sit down to and play for an entire evening without realising how much time was slipping. The new features, particularly the Resolve system, are cool, but the title still manages to feel incomplete.